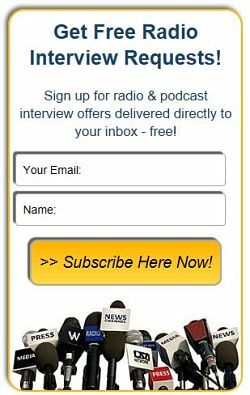 Danielle Kunkle, Medicare Insurance Expert, Author & Speaker - Radio Guest List.com - How to Get Radio Interviews and Find Podcast Guests! Danielle Kunkle has helped thousands of beneficiaries across the nation to survive the intimidating Medicare enrollment process and nail down the basics of Medicare. Danielle enjoys clearing up the "Medicare Mystery" for overwhelmed Baby Boomers as they age into Medicare. She is the co-founder of Boomer Benefits, an insurance agency that specializes in Medicare plans, and can explain the parts of Medicare in terms that are easy to understand. Navigating the daunting Medicare enrollment process is much easier with Danielle’s tips on the key things each beneficiary should prepare for each year. Medicare is overwhelming for the thousands of Baby Boomers that age into this program across America every day. They are pummeled by mail solicitations, and they receive confusing government booklets full of indecipherable language. Most are so intimidated that they make poor coverage choices without fully understanding how their coverage will work. Fortunately, help is available. Danielle can eliminate anxiety about Medicare enrollment and in particular, the annual election period in the fall that is so confusing for so many people. An interview with Danielle will shed light on how Medicare works and help everyday listeners grasp concepts that no one has ever taken the time to explain to them before. She can also offer great tips for avoiding Medicare insurance pitfalls or spending too much on coverage they don’t really need. She has presented about Medicare to hundreds of consumer and employer groups, and writes frequently for industry magazines such as Benefits Pro and Benefits Selling. Please see our easy Guest Expert Advertising options here!.